On Thursday, December 6, 2018, the director of the National Institute of Arthritis and Musculoskeletal and Skin Diseases (NIAMS), Stephen Katz, M.D., Ph.D. announced that NIAMS is recruiting a new Clinical Director, someone who can take advantage of the unique scientific and clinical resources at NIH. He is reaching out to all of the NIAMS communities to help identify the best candidates for this important leadership position. Dr. Katz encourages sending this notice to any qualified colleagues who might be interested in applying for the position. More details about the position and the application can be found here. 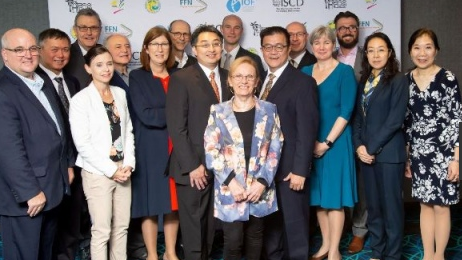 A groundbreaking multi-stakeholder alliance charged with countering fragility fractures threatening the world’s most populated, and fastest ageing region, was unveiled in Sydney, Australia. The Asia Pacific Fragility Fracture Alliance’s four regional and three global representatives drawn from the osteoporosis, geriatrics, orthopaedics and rehabilitation sectors, will focus on three pillars – improving acute care for those who sustain bone fragility fractures (due to osteoporosis), subsequent patient rehabilitation, and secondary fracture prevention. Members of the umbrella organization have signed a Memorandum of Understanding (MoU) which underscores their commitment to work collaboratively throughout the Asia Pacific region to improve outcomes for people who sustain fragility fractures. Read more here. 2018 Career Development Webinar Series! 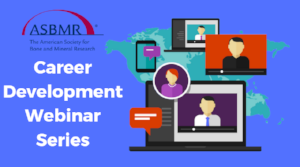 For a full list of the career development webinars and their descriptions, including links to all of the recordings, visit the ASBMR Career Development Webinar Series page. 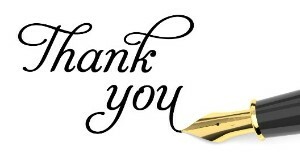 Recordings of all 12 webinars can also be found in the ASBMR Education Resource Center. Stay tuned for new Career Development Webinars in 2019, and don’t forget to send us your suggestions for webinar topics and speakers! 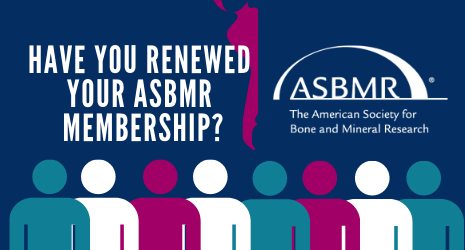 Apply Now for the ASBMR Travel Grant to the NMRI Annual Workshop!